Maryhill Museum of Art is a 501-C-3 non-profit corporation. Its mission is supported by a small endowment, donations, gifts, memberships and admission fees. 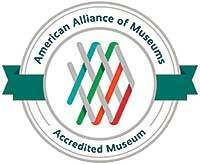 Maryhill is accredited by the American Alliance of Museums. In 2015 the Bylaws Committee and the Board of Trustees carefully reviewed the museum’s Bylaws and Articles of Incorporation to address concerns, deficiencies and needed changes. Recommendations were made and then reviewed by the firm of Miller Nash Graham & Dunn LLP. Ballots were mailed to all current members on April 17, 2015 with a summary of the key changes. The museum’s membership subsequently repealed the current Bylaws and adopted the new Bylaws, and approved the proposed amendments to the Articles of Incorporation. The approved new documents are accessible in the links below.